Would it be cheating for me to look that lure up in my Whopper Stopper catalogue? (As is Google Mark - good luck with that. I find that unless a search is very specific, it can be like looking for a needle in a haystack! I do find it useful to confirm detail on things I 'half remember' ). (If anyone types that into their web browser, I cannot be held responsible for the search results . . . . ). An interesting development in the identification of these old baits. I have been corresponding with a collector/dealer who informed me that he has seen them catalogued by Allcocks and described as the 'Aerialist Minnow'. Somewhat posher than 'Roach Plug' then? John, did he enlighten you as to whether they used to be fish in a similar way to a Devon i.e. line/wire though the tube and maybe a treble at the rear ? We just exchanged a couple of messages Will, after I saw one he had for offered sale as a 'Aerialist Minnow'. I picked up a great old South Bend bait off eBay last week. This sub-surface minnow - I think it's a variant of the 'Panatella' - had been painted white by a previous owner. On the basis that the white coat looked like it might come off, I took a punt as it was only a fiver, plus 2nd class post. The paint underneath has 99% coverage: green scale, cream belly and gold nose. By no means perfect, but very much better than I was expecting. (If it had been very poor and a floater, I planned to send it to MH for a re-spray and fish with it. However, the original paint was OK and it turns out it's a sinker. Sorry Mark, I'm sure I'll find something else for you to work your magic on soon). You mentioning those Mark makes me ponder just how many baits have passed through our hands that, for one reason or another, we no longer have? Here they are! Arbogast 'Phred's Phydeaux' The top one is the 6" size. (Phred's Shadeaux to follow, when I've finished rummaging through dozens of boxes!). I've dug out my 'Phred's Shadeaux' (bottom row). I can't quite recall whether or not the fatter versions (top row) were just a variant of the Shadeaux, or had their own name ('Fat Fred'?). Despite their unsullied appearance, they've all had fish. 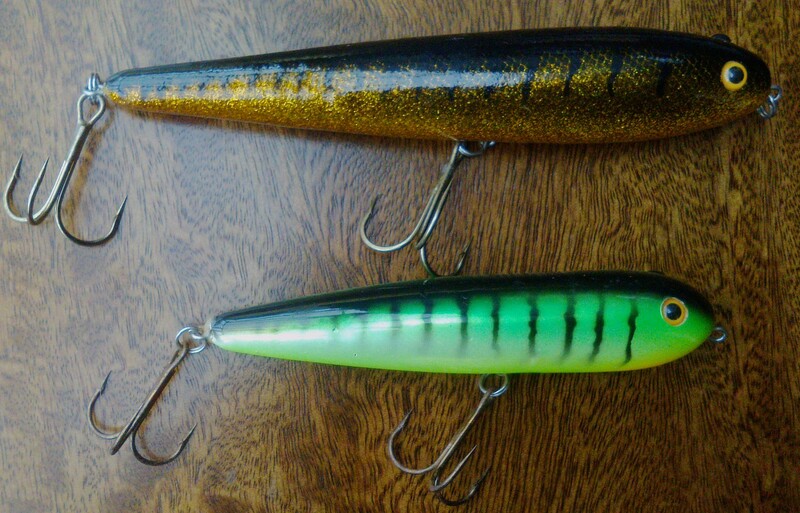 At the time however (1990's) Heddon brought out a similar, superb, series of wood crankbaits - the Lee Sisson 'Ticker' series, which I rated very highly and used more. Lee Sisson also designed the earlier Heddon 'Timber Rattler' series and his 'Tickers' shared the same excellent, embedded rattle chambers. Lovely looking baits those. I have a couple of Lee Sisson baits here, from when he was selling his own brand lures. 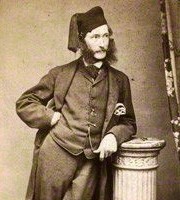 Thomas Popham Luscombe - now there's a name to conjour with! Based in the city of Allahabad, where the holy Ganges meets the Yamuna and "invisible" Saraswati rivers in Northern India, his company was often the provisioner of choice for Victorian gentlemen adventurers seeking to tackle the mighty mahseer. Other companies also provided this service, including Manton of Calcutta - and of course Hardy's and Farlow's in the UK. Check out the wire guage on the treble of this scaled (on the reverse!) brass spoon! The quality, strength and attention to detail on Mahseer spoons, even the tiny fly spoons, is quite something to behold. The renowned fighting qualities of the mahseer was enough to ensure that no expense was spared in the tackle employed and the lures made for the purpose are some of the finest made. (NB: The lures themselves where probably made for Luscombe and Manton's by Warner's of Redditch). Last edited by John Milford on Sat Dec 08 2018 22:56, edited 1 time in total. Changing that treble without a good pair of split ring pliers would play havoc with your nails! No they wouldn't, but they'd play havoc with one's man's nails . . . .
Have you been doing a bit of polishing John ? They do look very shiny. I've not polished them Will, but the smaller ones are quite bright. Possibly lacquered? 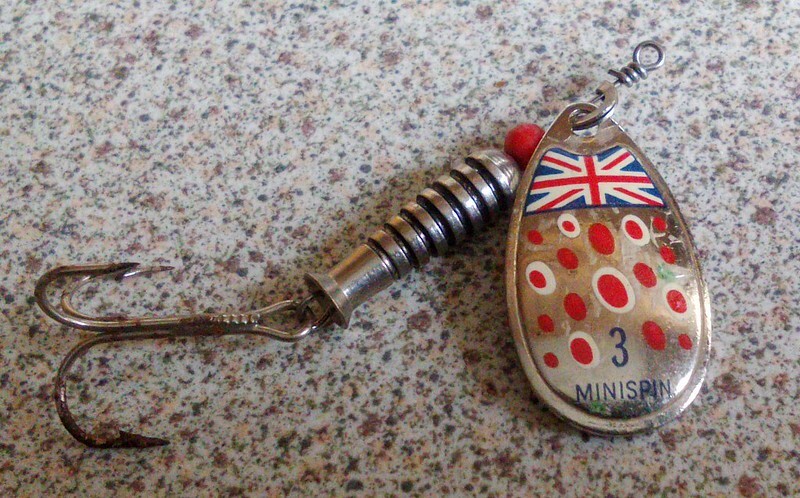 Not especially valuable or rare - just great I always liked the little Union Jack on these 1960's / 70's spinners. 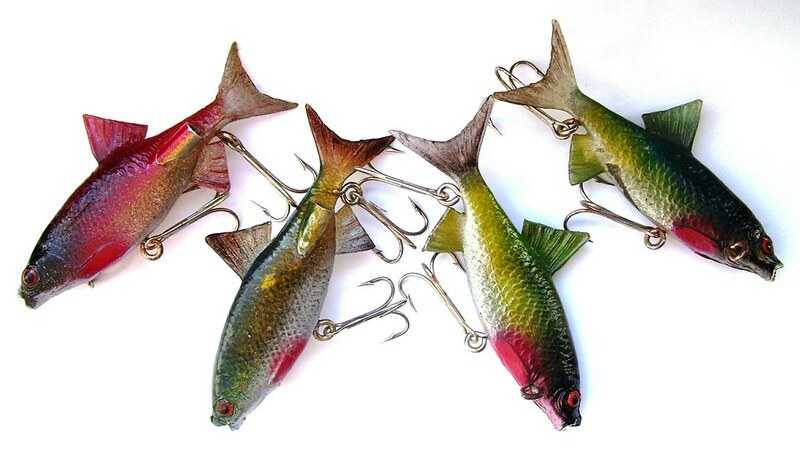 Never seen those Brexit lures before. Is that you 'getting me back' for mentioning Brexit on the cricket thread? 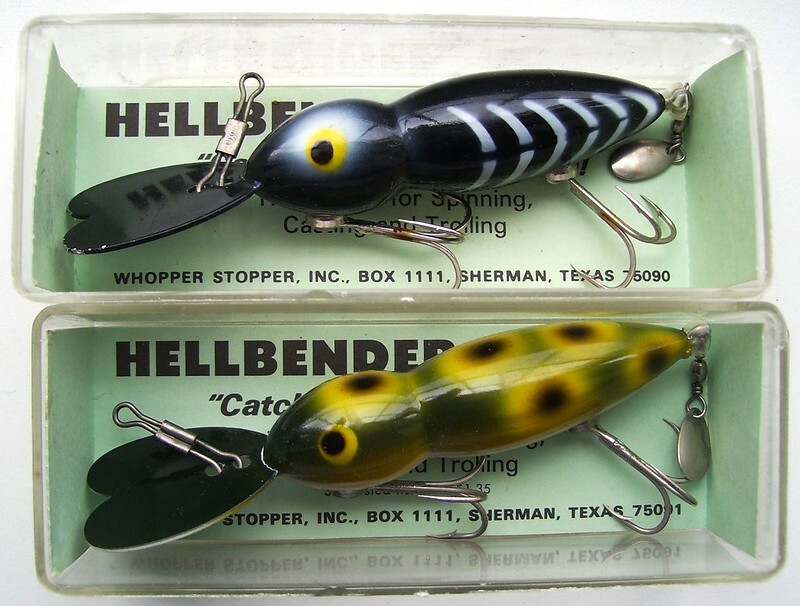 A nice pair of 'pre-PRADCO' Texan Whopper Stopper 'Hellbenders'. 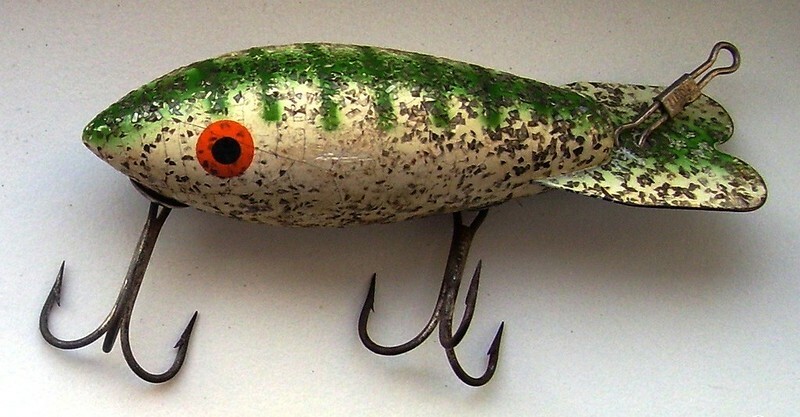 Still one of the deepest running crankbaits after sixty-odd years. Classic old patterns on those Hellbenders, John. I do like the look of those, very nice. 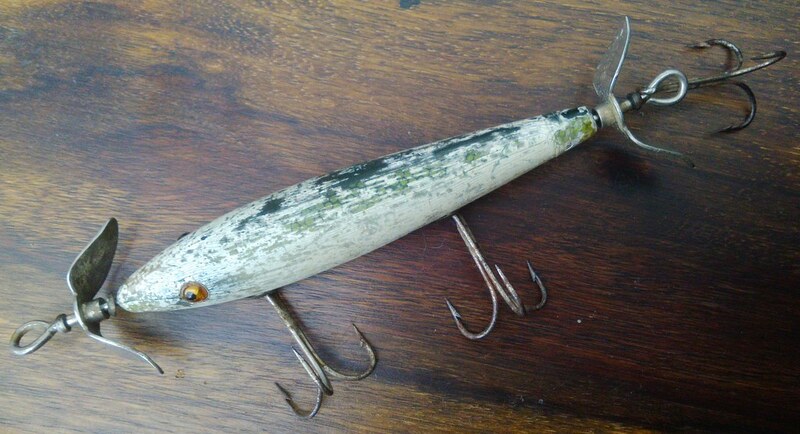 My favourite Whopper Stopper is the 'Throbber' - "The lure with a beating heart". They have an internal weight on a spring that makes the plug quiver at rest. 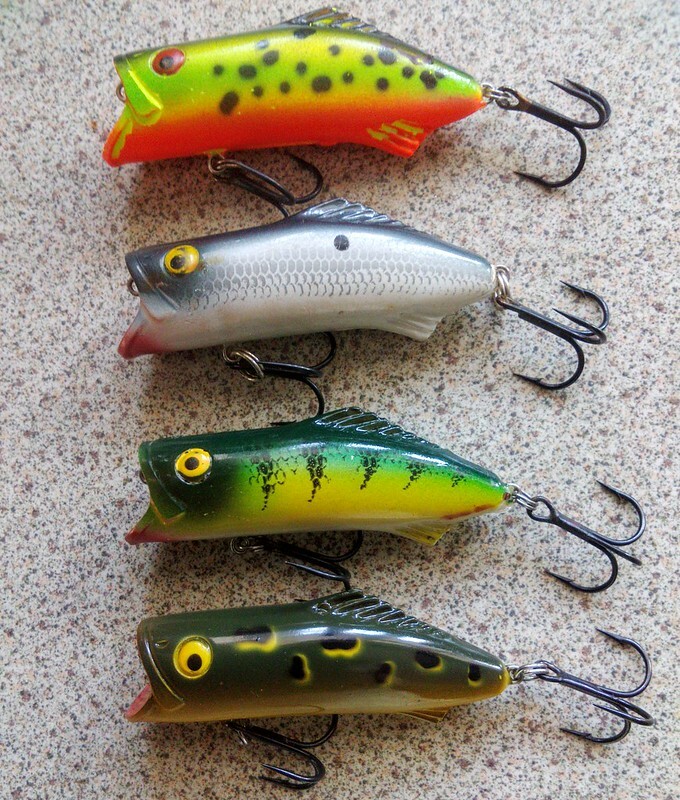 They are also a great looking lure! Just for a bit of fun, anyone want to guess the name of the pattern on this old '500' series cedar Bomber?